2. Add fish, green chillies, ginger, tamarind extract, salt and coconut paste with 1/4 cup of water. 4. Reduce heat and cover pan with a lid. 5. Cook for 10 minutes till all water has evaporated. 6. Heat oil for tempering and fry the curry leaves for a few seconds. 7. Pour this over the pan and mix well. 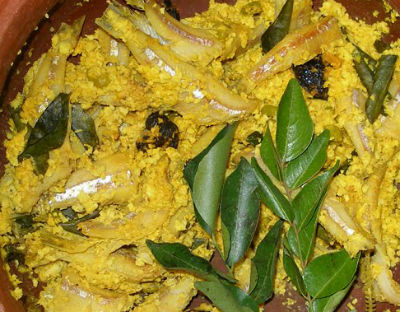 Feel free to comment or share your thoughts on this Meen Peera Recipe from Awesome Cuisine.